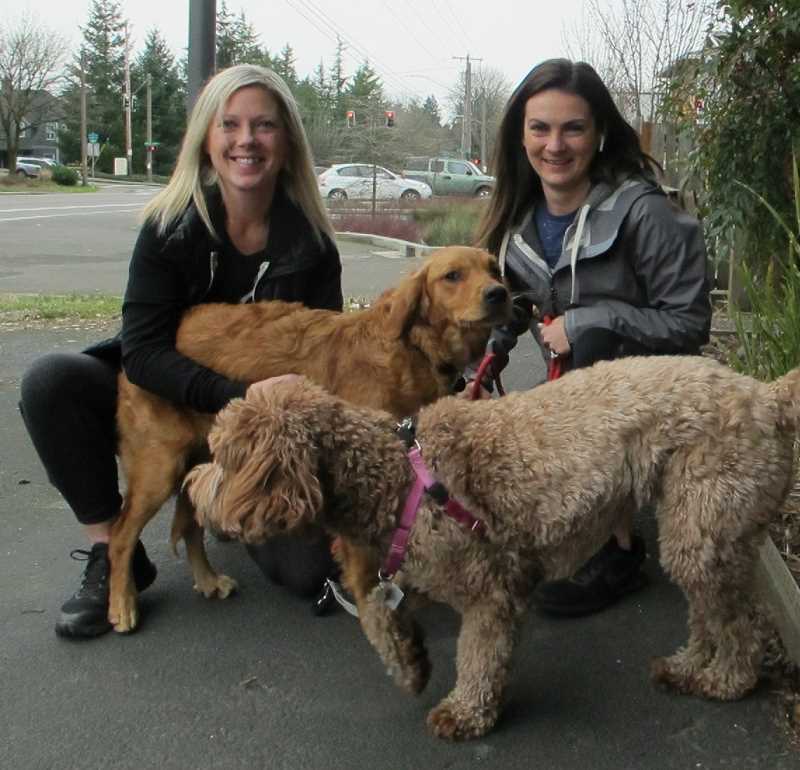 If you feel your dog's life is lacking enough activity, you'll soon have a way to fix that in Multnomah Village. And improve your own fitness levels while you're at it. Soon-to-open SitStayFit will offer sessions at which you can work out with your dog. A variety of other services, such as boarding your dog overnight, also will be available. Business owners Jenna Kirby and Jamie Lawrence are renovating the '50s-era 3839 S.W. Multnomah Blvd. building, where Curves was located. "Basically, you work out with your dog," Kirby said. "How this idea was born is that we were both into dog training and we both really loved our group fitness classes." Lawrence and Kirby are graduates of Wilson High School and Portland State University and are certified dog trainers. They opened the first SitStayFit facility in Northeast Portland at 7100 Martin Luther King Blvd. four years ago. "We started the business six and a half years ago. We started by taking dogs for walks in the community. We taught group classes but not in our own facility. Now that we're established in Northeast, we wanted to come here. This neighborhood doesn't really have a place to do all the things we do," Kirby said. In their classes, owner and dog work out together. They offer running and walking sessions for dogs, as well as training and boarding. Rates at SitStayFit range from $25 for a group class to $100 for a 90-minute session with a dog trainer to $200 to board and train your dog overnight. "We work with all kinds of people and they tend to be busy," Kirby said. "For anyone, it would be nice to come home to a dog who's had exercise and had training and spent time with other dogs." As soon as SitStayFit announced its arrival at the 3,200-square-foot facility on the sign outside, calls started coming in. Lawrence and Kirby say they are currently taking reservations for classes that will begin in early March. The actual grand opening is tentatively scheduled for late April. Details about services and rates can be seen at www.sitstayfit.com, or call 503-616-4270.